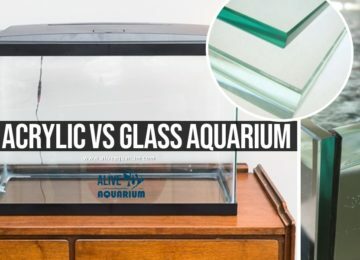 Fish Acclimation: How to Safely add Fish to Tank Without Any problem? You need to consider water chemistry changes when transferring fish to new tank from another tank or the sealed bag containing the newly purchased fish from store. It is important to remember that aquatic animals are sensitive to rapid changes in their environment. A sudden change in temperature or water quality can send a fish into shock. If a fish dies within a day or two after you buy it, the chances are good that it was not acclimated Properly or Slowly to the conditions in your aquarium. There are many opinions about how to correctly acclimate a recently purchased fish to the conditions of its new home. But rarely are reasons given for the various methods. I will try to explain the changes that are occurring to the water once the bag is sealed and how those changes affect the fish. How to Transfer Fish from Bag to Tank? For the purposes of the discussion, I’ll assume that the aquarium water from the tank the fish is in at the store is in good condition. This means the water has no ammonia, nitrite, and is nearly saturated with oxygen. Further, the pH is above 7 and there is at least a moderate amount of alkalinity. You have picked out your fish and the store clerk takes a net and small plastic fish holder from the bagging station. The clerk dips the holder into the aquarium and fills it with water. After some effort, but not too much, the fish is netted and placed in the holder. The water and fish are then dumped into a plastic bag and it’s closed and sealed with a rubber band. Did you notice whether the bag was filled with oxygen or just air? This becomes important later on. It’s assumed you head straight home with your fish. Before introducing new fish to tank, start by feeding the old fish in your aquarium so that they don’t attack the newcomers. If you have a saltwater aquarium, or an aggressive community of freshwater fish (most saltwater aquariums can be classified as aggressive in varying degrees), rearrange the decorations in the tank to help reduce aggression toward the new fish, by changing the territories around. 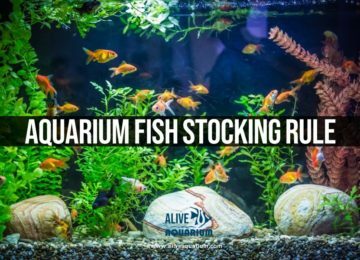 Make sure that you’ve considered Aquarium Fish Stocking to avoid stress. Turn off the aquarium lights to reduce stress. For a new tank, make sure that it is cycled properly for 2-3 weeks before adding fish. Once home, the most common thing to do with a newly purchased fish is to float the bag, still sealed, in the aquarium. The reason is to get the water temperature of the water in the bag to match that of the aquarium water. There is nothing wrong with this. However, what to do next with the fish is where most recommendations vary. Some people recommend that you float the bag for 10 to 15 minutes and then put the fish in the aquarium with virtually no mixing of the bag water and the aquarium water. This method can work well in many cases, especially if you know your water chemistry is not much different than that of the store aquaria. Then open the bag and roll the bag down to the level of water in the bag in the same way that you would roll up your shirt sleeves. This forms an “inner-tube” at the top of the bag so it will float while opened without sinking. Larger fish may be acclimated to the aquarium using the “drip-line” method. Here, the fish is placed in a bucket set below the tank which has been filled with several inches of aquarium water. The fish in the “store water” is poured into the bucket. A six foot section of aquarium airline is used to start a siphon from the aquarium into the bucket. A loose “knot” is then tied in the airline so that the water entering the bucket does so at the rate of one drop per second. After a couple of hours, the fish may be netted and added to the tank. In my experience, these are the only two acclimation methods a fishkeeper needs to consider. They are simple and effective and will work in all cases. The Method preference depends upon the condition of the fish in the bag and the differences in the water chemistry of the bag and the aquarium. If the difference in water temperature is great but the fish are doing fine in the bag, then there is no harm is floating them longer until the water temperatures are nearly equal. If you know that there is a big difference in water hardness or pH, then the best option is to mix the water for while. However, if the fish in the bag are visibly distressed, the bag water is cloudy and there are dead fish in the bag, then leaving them in that water is not going to help them, so is it best to use the dump method and get the survivors into water of good quality as soon as possible. For saltwater fish, it is important to make sure the salinities of the two waters are close, but you don’t have to spend a lot of effort making them exactly the same. Please note that saltwater fish require longer acclimation. For freshwater, you exchange 1/4 of the water in the bag with the water in your aquarium every TEN minutes for a HALF HOUR. But for saltwater, exchange 1/4 of the water in the bag with the water in your aquarium every TEN minutes for ONE HOUR. Then release the fish. Acclimate marine invertebrates the same way! If you are acclimating an eel, a wrasse, goby or any other torpedo-shaped fish, DO NOT ROLL THE BAG DOWN! These fish have a tendency to jump out prematurely into the tank. Instead, open the bag, and while acclimating, trap the top of the bag under the tank lid to keep the fish from escaping. You need to start acclimation process asap you buy the fish in the sealed bag from store. At this point, it is instructive to understand what is happening to the water in the bag. First, unless the bag was filled with oxygen, the oxygen content of the water is becoming less and less. How soon the fish will be in distress due to low oxygen depends upon the size of the fish and the number of fish in the bag. At the same time, and even if the bag was filled with oxygen, the carbon dioxide level in the water is increasing as the fish respire. Higher levels of carbon dioxide can act as an anesthetic. Therefore, if left too long in the bag the fish can become stressed, and eventually die, due to low oxygen and high carbon dioxide. Since many stores fill the bag with air and not oxygen, this situation can become a problem for many hobbyists. The addition of carbon dioxide to the water can also result in a declining pH if the water does not have a lot of buffering capacity. The water is also changing with respect to ammonia. The capture and bagging of the fish does produce a certain amount of stress which can result in increased ammonia excretion by the fish. Furthermore, if the fish were fed within 4 to 6 hours of when they were bagged, substantial amounts of ammonia could be released into the water. Since there is no biological filter in the bag, the ammonia will stay ammonia and not be converted to nitrite. Once the bag is sealed, the ammonia concentration of the water will increase. Thus to quickly review the changes in the bag water: ammonia and carbon dioxide are increasing while oxygen and pH are decreasing. Clearly, the bag of water is not the best place for the fish. In all situations, carefully watch the fish. If they start to show signs of stress in the bag or the container, then the best option is to get them into the aquarium water which you know is good quality due to maintenance and regular water changes. Some guidelines are: ammonia-free water is always better than water with a high amount of ammonia no matter the pH; and putting fish in water of a higher temperature can be done quicker than putting them in water of a lower temperature. Of course, there are some fish which always seem to be easy to stress no matter what you do. Rummy nose, cardinal tetras, and neon tetras seem to need extra care when acclimating and I would recommend always using the mixing method. Correctly acclimating your fish to their new aquarium is not hard or time consuming and will help eliminate additional stress associated with their movement from the store to your tank. Don’t make it too complicated on you or the fish. Good fishkeeping!